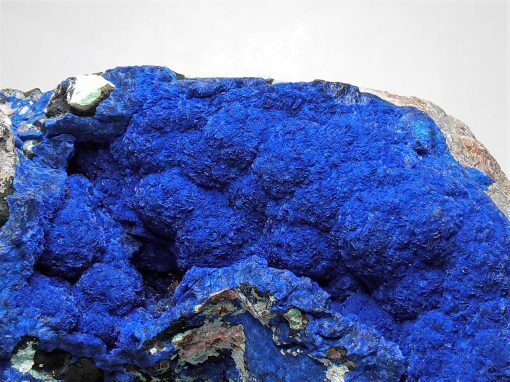 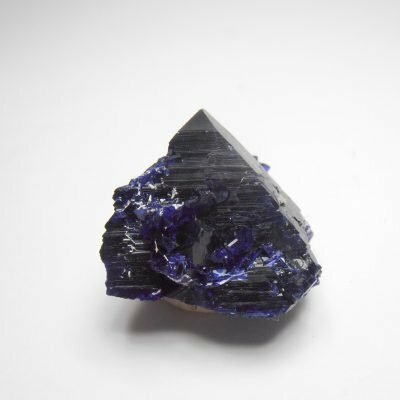 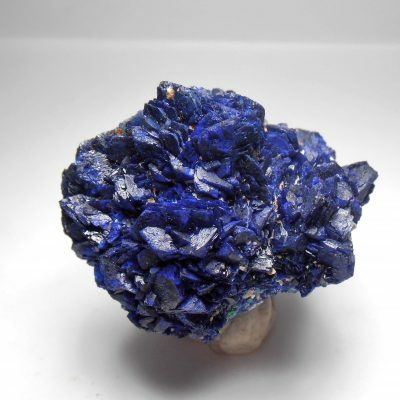 This azurite is from the Southwest Mine in Bisbee, Warren District, Mule Mountains, Cochise County, Arizona, USA. The Bisbee area contains (ed) dozens of mines and diggings in its famous and long time history. 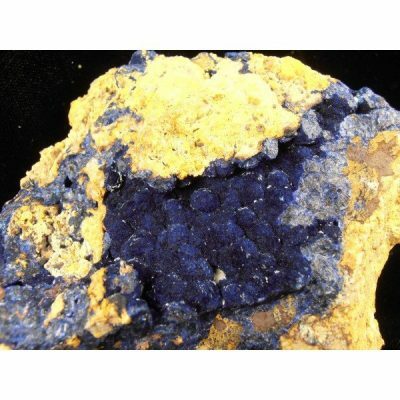 The Southwest Mine is a former Cu-Pb-Zn-Ag mine located in the southern portion of the district. 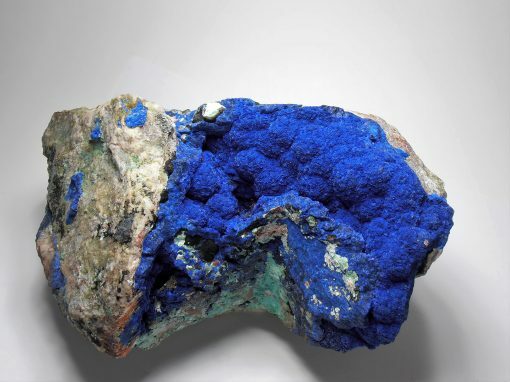 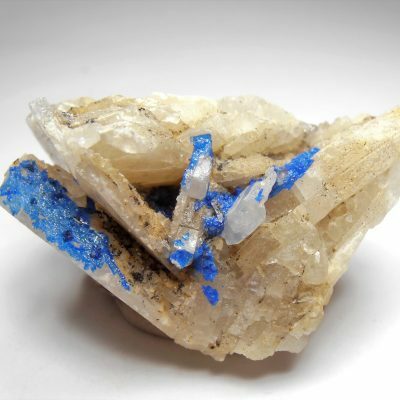 It contains over three dozen different mineral species including the carbonate azurite which contains the elements Cu C O and H. This piece consists of a breccia quartz matrix that hosts deposits of chrysocolla and ball-like clusters of azurite crystals. 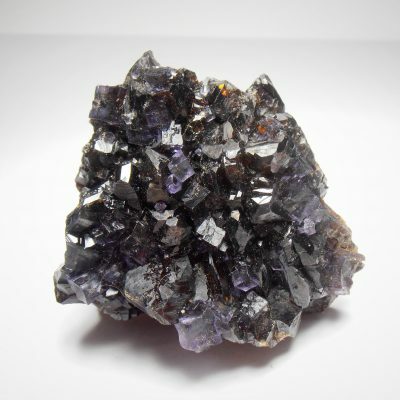 This piece measures 6 1/2 x 3 x 4 inches or 165 x 76 x 102 mm.